As you are all beginning to realise, I am very partial to the nature that surrounds me and never miss an occasion to get out and photograph what makes Provence so very special. 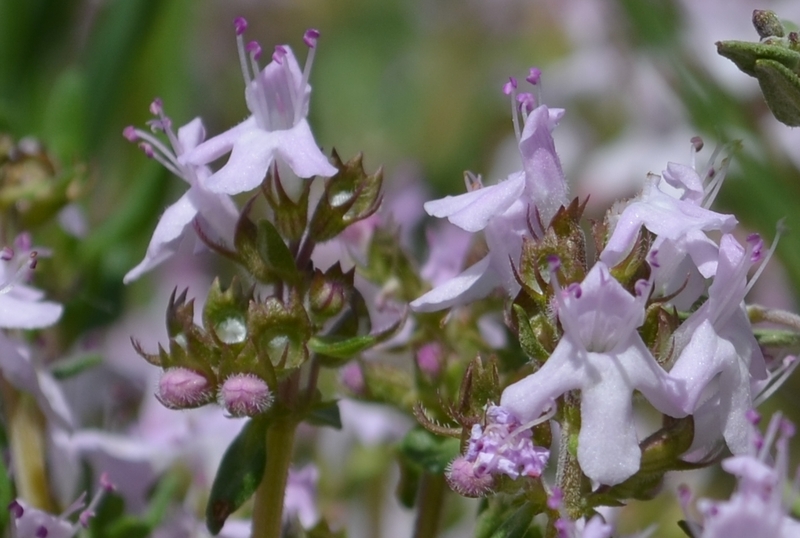 One of the key moments in spring is the flowering of the wild thyme. The pink flowers give off a subtle perfume, and serve as a delicious flavouring as well as a decorative garnish on many a plate during this period. It is also picked to make Farigoule, a thyme liqueur which is a very effective digestive after a big meal. I will be picking thyme flowers this weekend to make my annual supply of home made Farigoule but you can buy it from the Distilleries et Domaines de Provence; you can visit their website here. 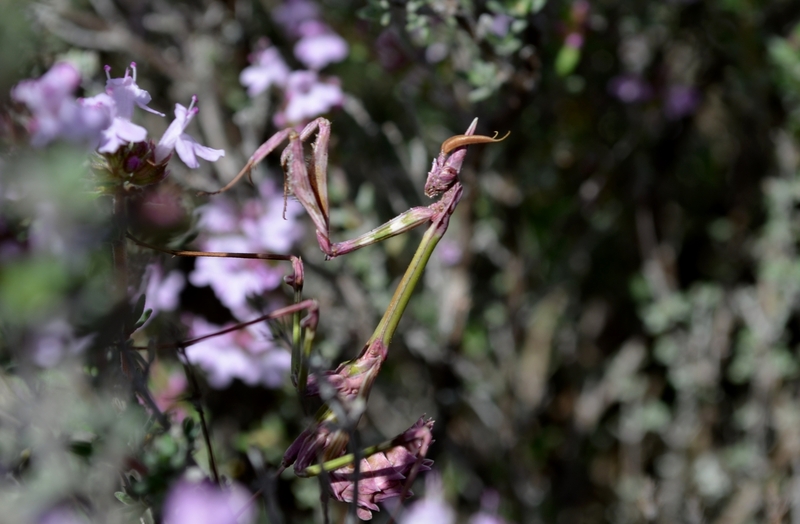 Here are a couple of photos taken this morning showing some interesting creatures I found in amongst the wild Thyme. 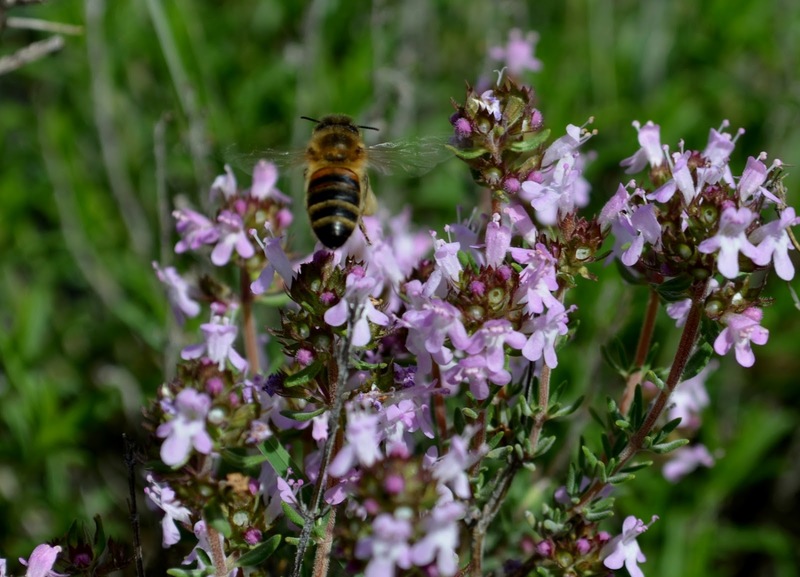 The honey made from the thyme flowers is particularly sought after and the bees are hard at work!